Social media marketing is now one of the dominant forms of marketing used by companies around the world. Social media marketing has opened the doors for anyone to create and advertise their own business without the need for even pricier marketing campaigns. Marketing is becoming more inclusive of everyone, rather than only being for the big companies. How To Track Your Social Media Marketing Success? However, if you are going to be a social media marketer, you are going to want to find a way to test whether or not your marketing is working as you want it to. 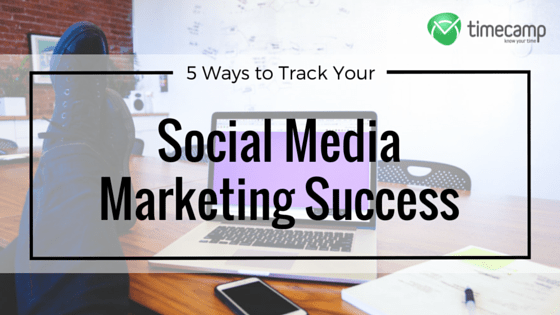 These five ways of tracking social media marketing success can be used by anyone and any business. Once you have decided what you want to specifically measure, you can move to actually measuring it. Now that you now the specific problem you want to address, you should always set a goal for yourself. For example, if your problem is website traffic, you are going to want to set a goal to which you aim for with your campaign. If you have a regular 1,000 people visiting your website every month, you may want to aim for 1,500 after six months. Have a purpose, and your social media success will be greater. It is important that after you know which aspect of your social media campaign you are measuring to find a way to measure its success. One of the easiest ways to gain both broad and specific feedback on your social media performance is to use a social analytics tool. Generally, thanks to the popularity of social media marketing, many of the social media sites have their own analytics tools. Facebook has the most powerful and the most successful, and has created a thriving advertising sector of their company. For those looking to get into social media marketing, these tools can be invaluable to measure your success. The success of your social media marketing will also depend on how much time you have to put into it in order to see a substantial reward. Time management tools are invaluable in helping ensure that you do not put too much time into marketing your product, and not enough in the other aspects of your business. Time trackers can be used in many different aspects of your business, but they are the most valuable in social media marketing. You can track how long you have to be on social media for your marketing to be useful. One of the most helpful time trackers is TimeCamp. The last way to measure the success of your social media campaign is to determine how much money it takes to complete. You will need to spend money to make money, it is difficult to avoid that certainty. However, your goal is to spend as little money as you can in order to have a successful social media campaign. By comparing the results from the previous steps with the amount of money you spent, as well as the money you are making, you should have a clearer picture of whether what you are doing is successful or not. Track your social media success using proper time tracking support – we know how to do it in right way!